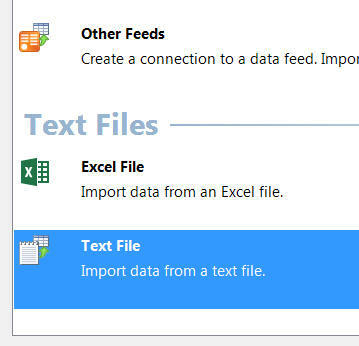 This blog shows how to import data from all of the above formats. 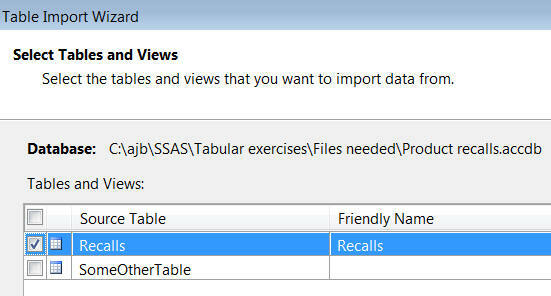 If you're coming from a PowerPivot background, be aware that there is no such thing in SSAS Tabular as a linked table (you can import from an Excel workbook, but you can't link to it). OK, I had to work hard to get the acronym to work! If you - like me - have a new 64-bit laptop but have followed Microsoft's advice to install Office as a 32-bit application, you'll have problems importing data from Access, Excel or text files. 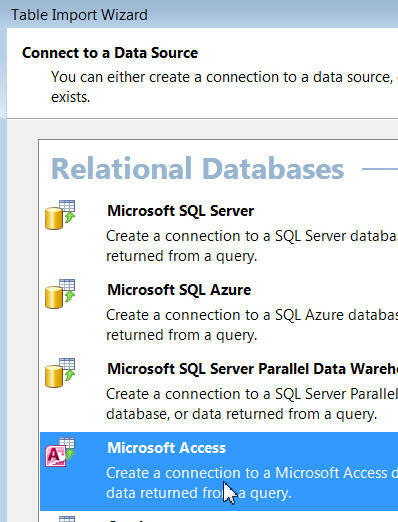 When you come to import your data, you'll either get Error next to each table or (worse) Visual Studio will hang at this point. My solution? I'm currently using 32-bit laptops for training on SSAS Tabular, which isn't ideal. 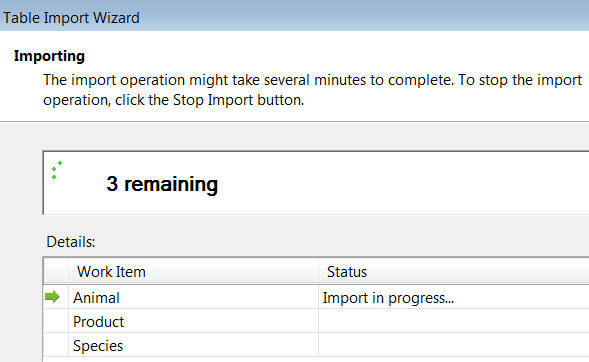 The only other reliable solution would appear to be to uninstall Office 32-bit, and install Office 64-bit instead. Having explained why you may not be able to import anything at all, let's proceed! 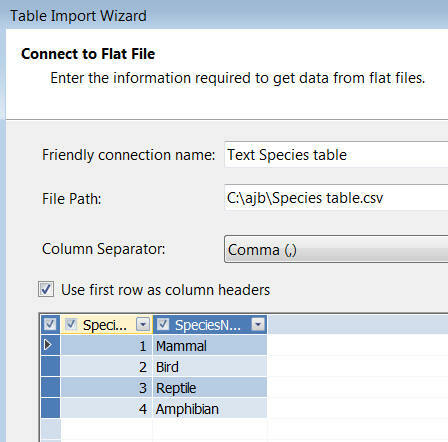 Here we'll import sets of species, animals and products; each set of data is in a separate worksheet, with column headings in the top row. Choose to import from a data source. Bizarrely, Excel - surely one of the most likely data sources? - is the penultimate one in the (long) list. 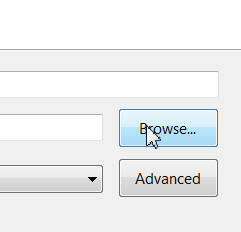 Click on this button to find the Excel workbook from which you want to import. Tick the Use first row as column headers box. The option most likely to give the best results is to impersonate yourself! Excel removes the trailing $ from each name by default. 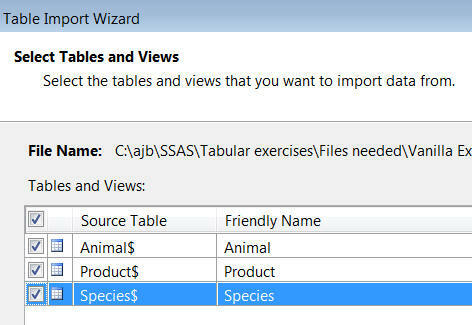 When you click on the Finish button, SSAS Tabular will import (for our example) 3 separate tables of data, which will behave from this point onwards exactly like tables imported from SQL Server. Or not, if you're a SWOT (see the top of this page for what this means). 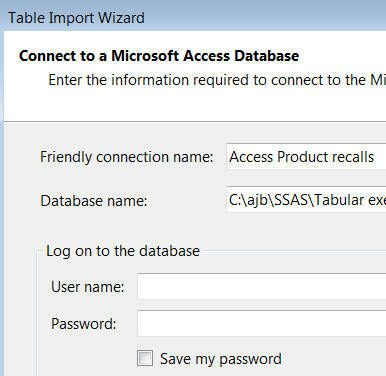 Choose to import data into your model as for Excel, but then choose Microsoft Access from the dialog box which appears. 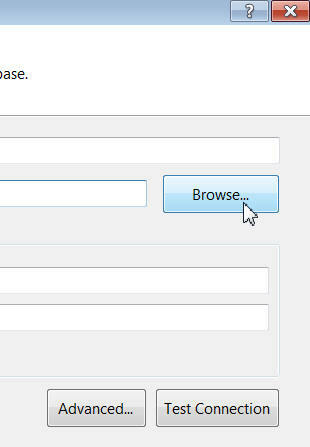 Click on this button and find the Access database some or all of whose tables you want to import. The product recalls database doesn't have any security set, so you can leave these fields blank. Being yourself, as so often in life, is probably the best policy. You can choose tables to import and take the opportunity to give each a friendly name. And there my diagrams stop, because I'm a SWOT (see top of this page). 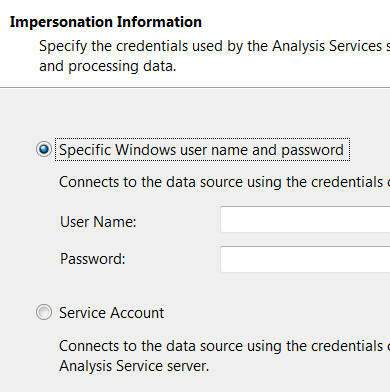 However, I have got this to work on other laptops, and the tables import just like for SQL Server or Excel. 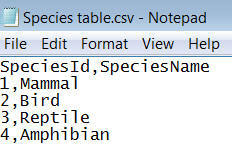 If you have a text file such as this CSV example, you can import it in much the same way as for an Excel one. The species table that we'll import. 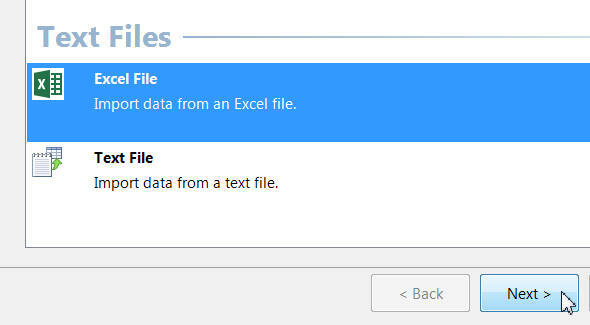 Choose the last option in the list: importing data from a text file. Click on this button to try to find the file you want to import. At the bottom right of the dialog box which appears, choose to look for CSV files. 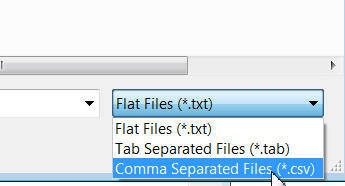 There's no need to change the column separator punctuation character, because Excel has set it correctly. 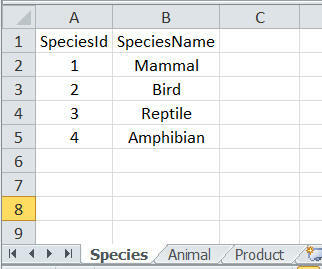 You can also give the table of data to be imported a friendly name at this stage. The option shown is probably your best bet. And if you're not a SWOT (see top of page for what this means) like me, you'll now be able to import your data! 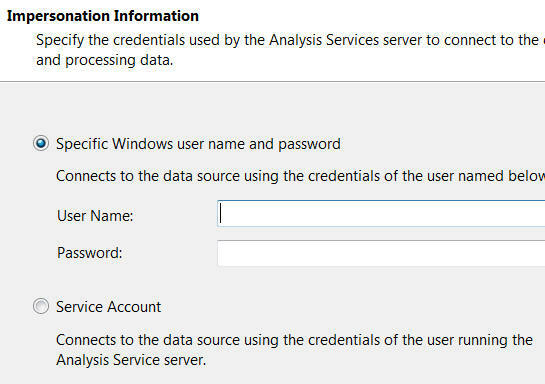 It's now a relief to move onto the next part of this blog: importing data from Reporting Services.